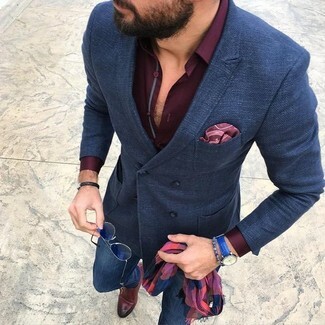 This relaxed casual combo of a burgundy double breasted blazer and a burgundy print pocket square is a tested option when you need to look dapper but have zero time. You could perhaps get a bit experimental with shoes and spruce up this getup by finishing with burgundy leather derby shoes. 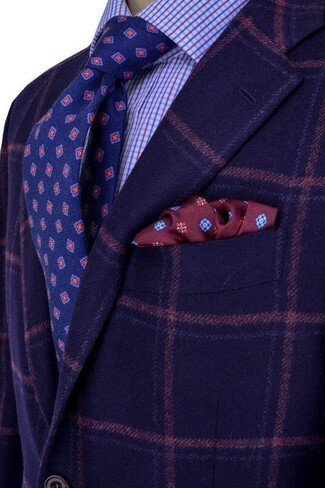 Rock a navy plaid wool blazer with a burgundy print pocket square to be both casual and knockout. If you're on the lookout for a casual yet sharp outfit, try pairing a charcoal wool three piece suit with an Etro silk pocket square. Both items are totally comfortable and will look great paired together. Rock a pair of dark brown leather double monks to kick things up to the next level. 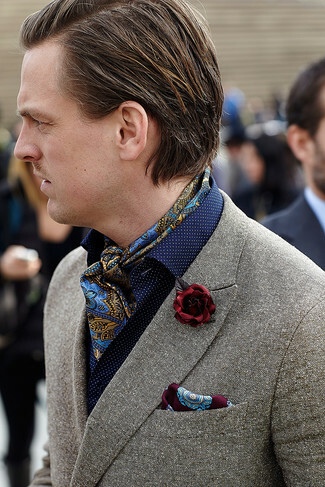 If you're after a casual yet dapper getup, make a navy wool double breasted blazer and an Etro silk pocket square your outfit choice. Both pieces are totally comfortable and will look great together. Amp up the cool of your outfit by rounding it off with brown leather monks. 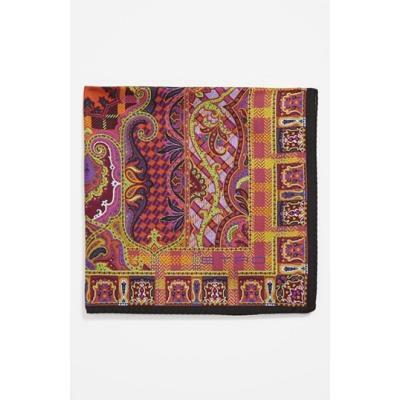 If you prefer functionality dressing when it comes to fashion, you'll love this on-trend combination of a brown blazer and an Etro silk pocket square from Nordstrom. 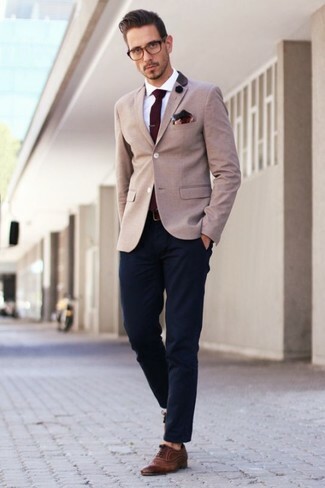 Channel your inner Ryan Gosling and rock a pair of dark brown leather oxford shoes to class up your ensemble. If you're all about relaxed dressing when it comes to fashion, you'll love this easy pairing of a grey wool blazer and an Etro silk pocket square. 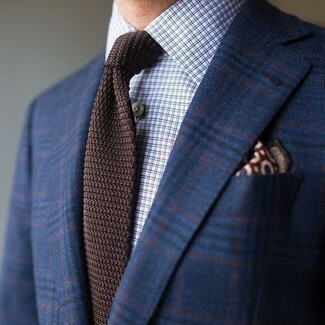 If you prefer functionality dressing when it comes to fashion, you'll love this on-trend pairing of a navy plaid wool blazer and an Etro silk pocket square. If you're a fan of relaxed dressing when it comes to fashion, you'll love this easy pairing of a dark brown herringbone wool blazer and an Etro silk pocket square. 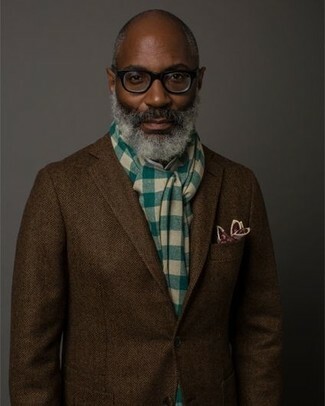 We all seek comfort when it comes to dressing up, and this combination of a grey check wool blazer and an Etro silk pocket square is an amazing example of that. Channel your inner Ryan Gosling and choose a pair of dark brown leather double monks to class up your ensemble.